Taxes – Property taxes, and state and local income taxes are deductible. 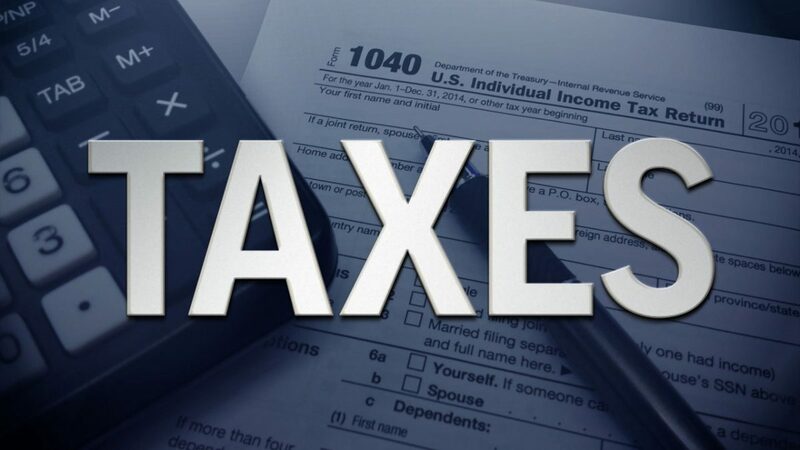 Taxpayers can elect to deduct sales tax in lieu of state income tax. The deduction for taxes is retained but capped at $10,000 for the year. Foreign real property taxes may not be included. The Act prohibits claiming a 2017 itemized deduction on a pre-payment of income tax for 2018 or other future taxable year in order to avoid the dollar limitation applicable for taxable years beginning after 2017. Home Mortgage Interest – Allows interest on $1M of acquisition debt on primary and second home and interest on $100K of home equity debt. Allows interest on $750K of acquisition debt on primary and secondary home. Grandfathers interest on up to $1M of acquisition debt for loans prior to 12/15/2017. Repeals the deduction for home equity debt. Phase-out of Itemized Deductions – Itemized deductions are phased out for higher income taxpayers. The phase-out is suspended through 2025. Individuals – 2017 Exemption amounts are $84,500 for married taxpayers filing jointly, $42,250 for married filing separate, and $54,300 for single and head of household. $109,400 for married taxpayers filing jointly, $54,700 for married filing separate, and $70,300 for single and head of household. The exemption phase-out thresholds are increased to: $1 Million for married taxpayers filing jointly and $500K for others. American Opportunity Credit (AOTC) – The AOTC provides a post-secondary education tax credit of up to $2,500 per year, per student for up to four years. 40% of the credit is refundable. The credit has a phase-out threshold of $160K for MFJ filers (no credit allowed for MFS) and $80K for others. Retained – The House Bill would have extended the credit to a fifth year, but the conference agreement retained the credit in its current form. Lifetime Learning Credit (LLC) – LLC provides annual credit of up to $2,000 per family for post-secondary education. The credit has a phase-out threshold of $112K for MFJ filers (no credit allowed for MFS) and $56K for others. Retained – The House Bill would have repealed the LLC, but the conference agreement retains the credit in its current form. Discharge of Student Loan Indebtedness – Excludes from income the discharge of debt where the discharge was contingent on the student working a specific period of time in certain professions and for certain employers. Modified to exclude income from the discharge of indebtedness due to death or permanent disability of the student. Permits, within certain time limits, a Traditional to Roth IRA conversion to be undone. The Act repeals the special rule that allows IRA contributions to one type of IRA (either traditional or Roth) to be recharacterized as a contribution to the other type of IRA. Thus, for example, under the provision, a conversion contribution establishing a Roth IRA during a taxable year can no longer be recharacterized as a contribution to a traditional IRA (thereby unwinding the conversion). A taxpayer who can establish that entertainment expenses or meals are directly related to (or associated with) the active conduct of its trade or business, generally may deduct 50% of the expense. No deduction is allowed for (1) an activity generally considered to be entertainment, amusement or recreation, (2) membership dues with respect to any club organized for business, pleasure, recreation or other social purposes, or (3) a facility or portion thereof used in connection with items (1) and (2). Also disallows a deduction for expenses associated with providing any qualified transportation fringe to the taxpayer’s employees.Employers may still deduct 50% of the food and beverage expenses associated with operating their trade or business (e.g., meals consumed by employees on work travel). Adoption Credit – Provides a credit of up to $13,570 for child under the age of 18 or a person physically or mentally incapable of self care. Retained – the House Bill originally repealed this credit, but the credit is retained in the conference agreement. Generally a NOL may be carried back 2 years and any remaining balance is then carried forward until used up or a maximum of 20 years unless the taxpayer elects to forego the carryback and carry the loss forward only. The 2-year carryback provision is generally repealed after 2017 except for certain farm losses. Beginning after December 31, 2017, the NOL deduction is limited to 80% of taxable income (determined without regard to the NOL deduction) for losses arising in taxable years beginning after December 31, 2017. A taxpayer can elect to expense up to $510,000 of tangible business property, off the shelf software and certain qualified real property (generally leasehold improvements). The annual limit is reduced by $1 for every $1 over a $2,030,000 investment limit. The Sec 179 deduction for certain sport utility vehicles is capped at $25,000. For property placed in service after 2017: The annual expensing and investment threshold limits are increased to $1,000,000 and $2,500,000, respectively, with both subject to inflation indexing. SUV cap to be inflation-adjusted. Definition of Sec 179 property expanded to include certain depreciable tangible personal property – e.g., beds and other furniture, refrigerators, ranges, and other equipment used in the living quarters of a lodging facility such as an apartment house, dormitory, or any other facility (or part of a facility) used predominantly to furnish lodging or in connection with furnishing lodging. Expands the definition of qualified real property eligible for Sec 179 expensing to include any of the following improvements to nonresidential real property placed in service after the date such property was first placed in service: roofs; heating, ventilation, and air-conditioning property; fire protection and alarm systems; and security systems. No such provision. The Act provides a 20% deduction for pass-through income, limited to the greater of (1) 50 percent of wage income or (2) 25% of wage income plus 2.5% of the cost of tangible depreciable property for qualifying businesses, including publicly traded partnerships, but not including certain service providers. The limitations (both caps and exclusions) do not apply to joint filer’s with income below $315K and ratably phases out between $315K and $415K, For other filers the threshold is $157K and phases out between $157K and $207K.